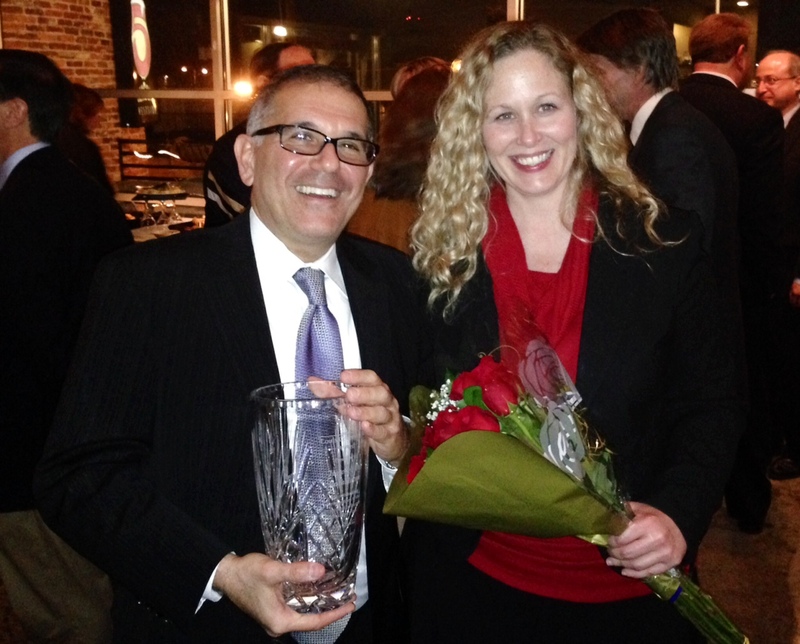 In December, Howard D. Rothbloom of The Rothbloom Law Firm was selected to receive the prestigious 2014 Louis C. Brown, Jr. Award by the Metro Atlanta Consumer Bankruptcy Attorneys Group (MACBAG), a large organization of Atlanta lawyers practicing consumer bankruptcy law. Each year, MACBAG’s Board bestows the Award on a member of MACBAG who best exemplifies the highest standards of professionalism and who has made significant contributions to the practice of bankruptcy law in the Northern District of Georgia. Three of the award’s prior five recipients are current or retired United States Bankruptcy Court judges. Below is an excerpt from Mr. Rothbloom’s acceptance speech. I have been a consumer bankruptcy lawyer since 1986. I love doing this work. We have a history of having the finest judges, a fantastic clerk’s office, and a great bar. I don’t know what else I would do if I didn’t do this and I feel so fortunate to practice law in this court. Until 1991, I engaged in a typical chapter 7 and chapter 13 practice. But in 1991, when a woman named Lillie Mae Starr contacted me, I came to understand something: that some banks cheat people. To be more specific, what I came to understand was that those banks targeted mostly low income, elderly, African-Americans for unaffordable high interest loans that they secured by their paid-for homes. These practices, consisting of deceitful schemes in the loan origination process, as well as abusive and aggressive servicing tactics, came to be known as “predatory lending”. I remember the moment that I fully appreciated what was going on and I remember thinking that this is not the America that I thought it was. At the time, practically no one believed that banks would cheat anyone… not even the people being cheated! They just thought that they were entirely responsible for their own failure to pay their bills… unaware that the mortgage loan was calculated to fail from the moment it was made. So, along with some really talented co-counsel, and collaborating with attorneys in the Home Defense Program of The Atlanta Legal Aid Society, and a Boston based housing activist, I participated for nearly two decades in what my friend, Atlanta Legal Aid attorney Bill Brennan, termed “multifaceted advocacy”, a coordinated effort to stop these abusive lending practices using litigation, legislation and education. I litigated countless matters in bankruptcy court objecting to proofs of claims, filing adversary proceedings and opposing motions for relief from the automatic stay; we filed and settled three class action lawsuits, and we won legislative change on the state and national levels, all focused on saving our clients’ homes and exposing and stopping these horrific practices that robbed working class people of the most valuable assets they owned. Moreover, our cases were covered by 60 Minutes, The New York Times, CBS News, and countless other media outlets around the state, the nation and the world. I feel that one of the greatest accomplishments of the lawyers that fought these battles is that our efforts to save our clients’ homes never really became a story about race; it was always a story about justice and fairness … which brings me to something that I would really like to emphasize: why what all of us here do is important. A client once said to me: “When you owe more money than you can afford to pay, you feel as if your life is threatened.” I think that it is extraordinary to be able to make “honest but unfortunate” people better, to change their lives, simply by talking to them and applying our knowledge of the law to their circumstances in order to lift their burden. We don’t touch them; we don’t give them a pill; we talk to them and we offer them the protection of the law so that they can live in peace. I think back to something that Judge Bihary repeated when she received this award a few years ago: that bankruptcy is the bulwark against chaos and anarchy. Our bankruptcy laws prevent there from being a permanent debtor sub-class in America. Bankruptcy enables people to regain hope for the future; to care for themselves and their families; to regain their dignity; to go forward and live good and productive lives. As I look at the news about the horrific things that we see going on in other parts of the world, and even some of the things that we see going on in this country today, I know that this bankruptcy system that we all participate in, judges and lawyers, creditors counsel and debtors counsel, is a system of justice and fairness that helps to ensure that we Americans will continue to live free and in peace. Since 1986, The Rothbloom Law Firm has served residents of Cobb, Fulton, Gwinnett, Paulding, Cherokee, DeKalb and all metro-Atlanta counties seeking relief from their business and personal debt. Our attorneys, Howard Rothbloom and Adam Herring, provide thoughtful counseling, careful planning and creative lawyering in Chapter 7, Chapter 11, and Chapter 13 bankruptcy cases as well as related litigation. Contact us today to discuss whether bankruptcy may be an option to relieve you of the burdens of business and consumer debt.